Last week I was on vacation and oh how glorious it was. We didn't really go anywhere...went to the local pool, to the public library in our little town, relaxed at home (read: air-conditioning)...it was good. I decided a long time ago that when I was on vacation, or it was the weekend, or it was a day off from work, or a holiday - I wouldn't blog. Not that I didn't want to, but I knew I wouldn't. I never give myself time to blog because I want to be 100% there with my little family. A few days before my mini-vacay, I went to dinner with Sarah. We met at Elevate and had been texting off and on ever since. We discovered our mutual love of reading and decided that we'd have dinner and do a little book swap. The end of the best book I read...it doesn't give anything away, I promise. So what usually happens to me after reading a great book is that I get a kind of "good book withdrawal"...I want to read something really good again. I went to the library and none of the books I wanted were there and then ((lightbulb went on!)) I remembered Alissa posting about a book she couldn't. put. down. 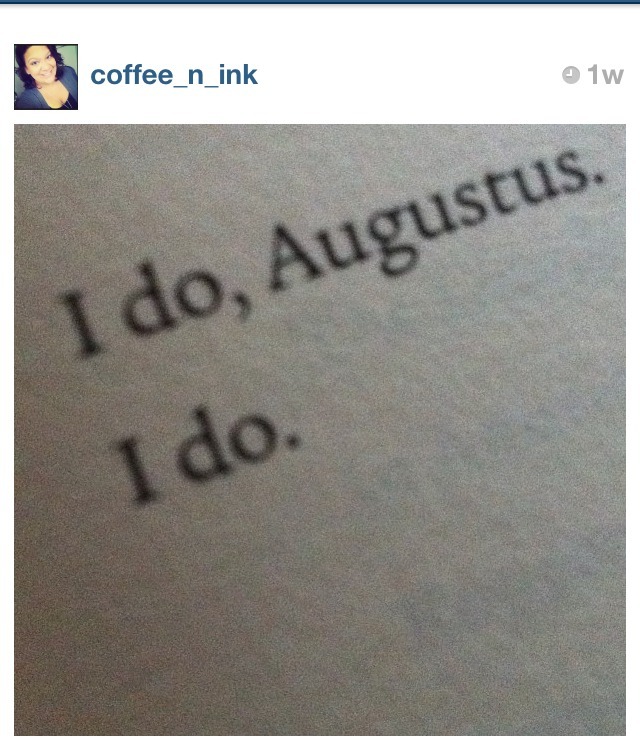 I "insta"-ntly scrolled through her feed and BAM! I texted her right after and she gave me the 4-1-1 on it and about the other novel attached to it. What did I do? I listened to Alissa - duh! 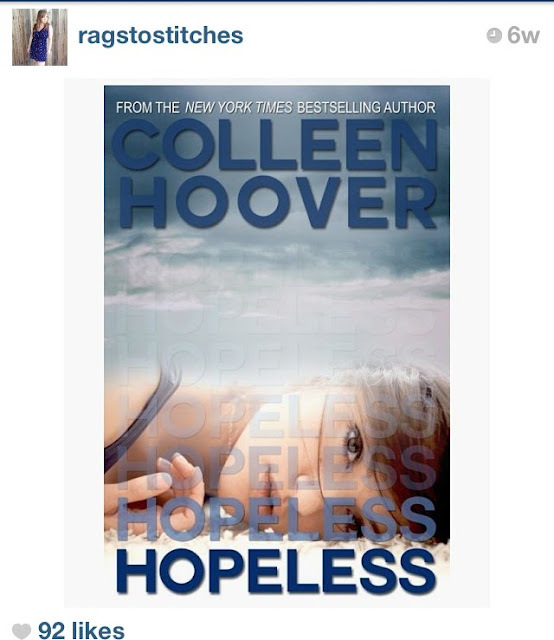 - and "insta"-ntly downloaded every single book Colleen Hoover has written (along with every John Green one, too). Pumpkin Spice Latte is back! Woo - to- the - Hoo!!! So that's about all I got today...and so proud of you, lovey, for "insta"-ntly reading this whole post. Have a fabulous <--l o n g--> weekend. Go grab a good book and a cup of coffee. You are AWESOME - and don'tcha forget it. 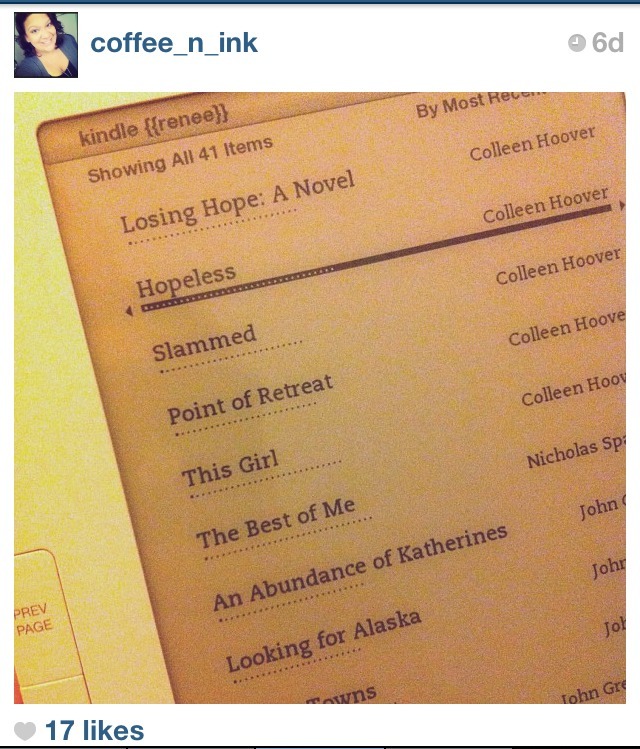 Read... blahh... how about you "Insta"-ntly come visit and bring your kindle? I'm in a sour mood, just need my Nay to hang out with me, eat GF yummies on "our" china and watch Shrek! :) I'm gonna get those books I really did read the post and I'm doing it only because you said so. loves! I totally snickered about your "get some" comment. Nope, I have no shame. Glad your had a relaxing vacation week full of relaxation! Love me some Pumpkin Spice! And 'The Fault in Our Stars' is all downloaded and ready to go! Hope your weekend is also fabulous! oh...and if you want to stop by for a visit, I've got a new post on my blog with a small shout out to you and Blogtember! I just got a smart phone yesterday. My goals for the day are to figure out how to deposit a check without going to the bank and finally getting on Instagram. Thanks for the book suggestions, I was looking for something new to read. I too suffer from "good book withdrawal" quite often. I have kindle envy! Don't forget about Elin Hilderbrand, I'm hooked on her. 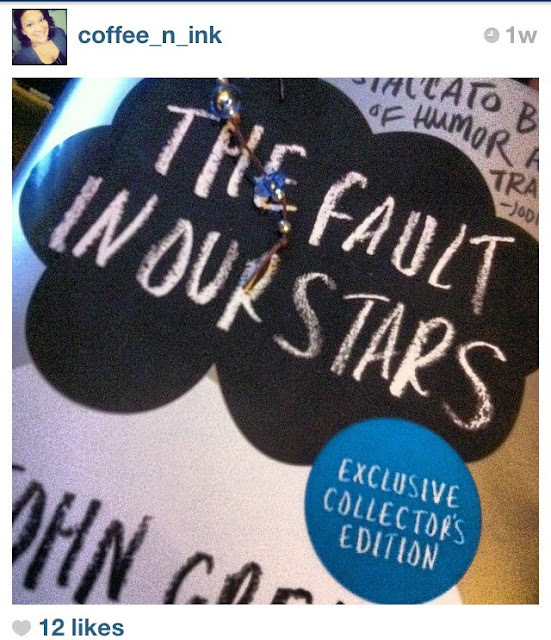 I loved A Fault in Our Stars and I'm looking forward to reading more John Green. Just wanted to say hola, and that I love ya. Oh, and the dress came in the mail on Friday. I'm looking for a seamstress to take it in, as waiting to grow into it is no longer an option. Caitlin LOVED it!